Earlier, the ministry provided Rs 40,000 central assistance for workers to construct their houses. This amount has been revised to Rs 1.5 lakh to keep up with the rising rates of construction. 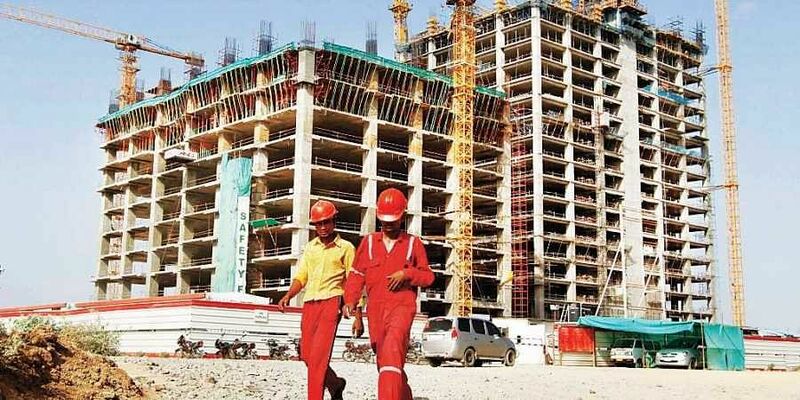 NEW DELHI: The labour ministry has revised the Integrated Housing Scheme (IHS) for workers. The revised version of the scheme will come into effect immediately. Earlier, the ministry provided Rs 40,000 central assistance for workers to construct their houses. This amount has been revised to Rs 1.5 lakh to keep up with the rising rates of construction. "The subsidy has been enhanced from the existing Rs 40,000 to Rs 1.5 lakh to bring it at par with financial package extended under the Pradhan Mantri Awas Yojana," the ministry order said. The scheme is applicable to workers engaged in the beedi, mining and cine workers who are registered with the labour welfare organisation. "We want everyone to benefit equally and hence have revised the scheme. All the parameters are set and thus the revision will be in effect immediately," a ministry official said adding that the only condition that the workers needed to fulfil to receive funds was ownership of land which was not less than 30 square metres. According to the order from the director general of labour welfare, the funds will be disbursed in three phases. "The subsidy amount will be released in the slabs 25 per cent, 60 per cent and 15 per cent and the beneficiary, like earlier will not be needed to make any prior deposit for the release of funds," the official said. The ministry is looking to make the process of application easier as well. "Right now, the electronic mode of application is not available but till then potential beneficiaries can apply physically at their nearest labour welfare office," the official said. Activists, however, are not very upbeat about the development. They are of the opinion that purchasing land is the most difficult part of constructing houses. "Even people who get paid much better than workers find it difficult to buy land due to the soaring prices. The government must subsidise land purchasing for them. Till then, the scheme will not find any real takers," Alka Singh of Nirman, an NGO working for workers' welfare said. Narsayya Adam, a CITU leader from Solapur, Maharashtra has a similar opinion. Adam, a three-time MLA from Solapur City (North) said, "To be honest, there is no difference between the previous and current scheme. Around 18 per cent of Solapur's population, who are beedi workers, continue to live in slums. With the current scheme too, it remains difficult for them to purchase land. The subsidy should be on construction as well as land purchasing," he said.